A while ago I wrote a few tips for the drive to Albany and from our recent trip along the South Western highway to the great southern forests I’m sharing some general knowledge for a seamless enjoyable ‘down south’ drive. 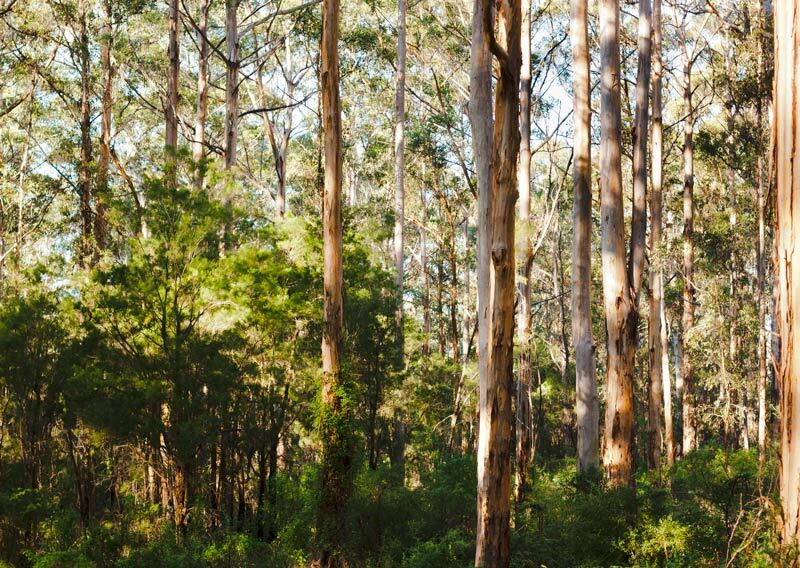 This post covers the towns along Forest Highway and the South West Highway all the way to the great southern forests area of Pemberton, Northcliffe, Manjimup and Walpole. It’s a decent length drive from Perth and we’ve had our fair share of run ins over the years, also stopping to help a few people out. There was one time when we were on a road, without phone reception and basically in the middle of nowhere that we pulled over to check on a family gathered around the boot of their car. As it turned out they had a flat tyre and weren’t too sure how to change it, nor how to remove the tools that sit under the mat in the boot. The culprit would you believe was a bit of wood to the side of the tyre. Although it was good that they had a spare tyre, however it would have been a lengthy drawn out drive back to their accommodation with the speed limit of 50km. So this draws me to tip number one…..
Dual travel centres on either side of the Kwinana freeway between Mundijong and Safety Bay Roads with petrol, a truckers/travellers foodcourt with McDonalds and Red Rooster. Free wireless internet, kids play area, ATM, garden area with a BBQ. Clean toilets too! If you are interested in picking up some local produce along South West Highway, check out the Harvest Highway website. Town known for its Apple produce! Fruitbarn supermarket open from 7am to 7pm, IGA open from 7am, Patchworks Cafe, two bakeries, Apple fun playground park (huge! ), Old Goldfields Orchard & Cider Factory located off Upper Capel Rd, fruit picking at Spring Valley Orchard, The Quilters Needle , Oak Tree planted in 1842 near the tourist bureau. Boronia Farm, certified organic farm. Transit Park for vehicle and tent camping. Home of some cool scarecrows! Cute town actually. Antique stores. Natural beauty and home products at Tinderbox store. 60 Ha arboretum – Golden Valley Tree Park for walks and picnics, art galleries, alpaca clothes, the Packing Shed Cafe (also has the cellar outlet for Birdwood Park Fruit Winery), nice breakfast and coffee at the Mushroom Cafe, try a Tathra Tiger Port from Tathra winery. Balingup Lavender Farm. Transit park for vehicle and tent camping. Tavern. Bakery. Newy’s Vege Patch Store. Take a detour to Donnelly River Village for Munda Biddi and Bibbulmun track or to see the Kangaroos and Emus. Barking Cow Cafe do great coffee and breakfast. Stock up on meat from the two butchers in town. Pub. Foodworks supermarket. This town is good for trinket shopping. Check out the Christmas shop at Wag Walters Emporium. Walk around the old bridges. The Cidery. Levanda Grove. I wrote a post about the Bridgetown here. Tall Timbers do a great long black coffee. Farmers markets on a Saturday. Woolworths supermarket. The Truffle and Wine Co after exiting the town. Check out the King Jarrah tree. Diamond tree before Pemberton. The Karri Discovery drive after Pemberton, there is a small wine centre and beautiful scenic drive through the trees. Keep an eye out for farm stalls selling fruit and vegetable. Lavender Berry Farm. The Cascades. Bicentennial tree located off old Vasse road. Find the Marianne North Tree (Warren National Park), where a young girl and buddy of Charles Darwin came out to WA in 1880, and during her holiday painted the scenery, of which one was a large unique Karri tree. The most remarkable thing is in 1880 the tree was gigantic according to her painting, how old could this tree be!? You have me dreaming of another South West holiday now. I can smell the wood fires and damp forest!! !